Who of you never played on his favourite screen, lining up colored balls ? We chose to do it full scale and without keyboard ! 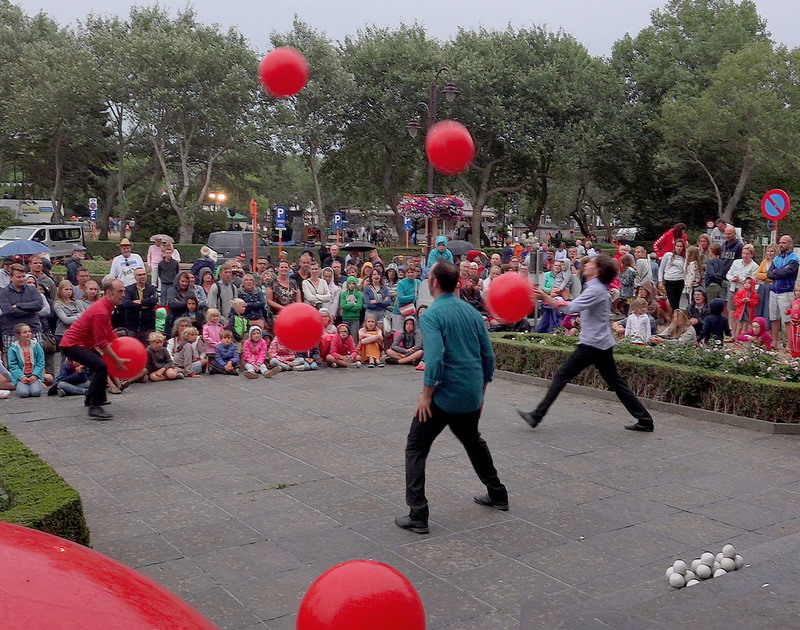 The jugglers from Bubble Puzzle introduce you to their favourite game : throw, catch, pass, repeat. But what happens when game takes over reality ? 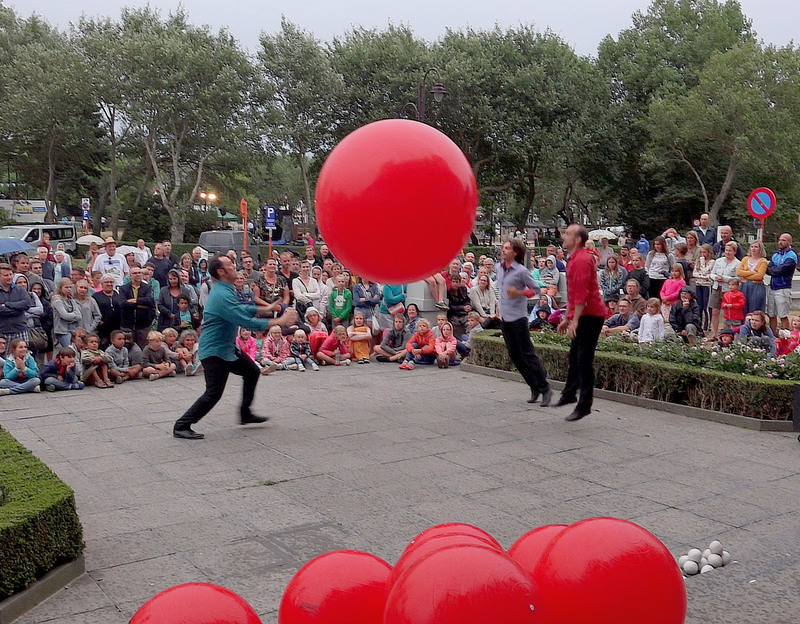 Bubble Puzzle is a variable scale project, designed as an encounter between jugglers and audience. Every performance is different !